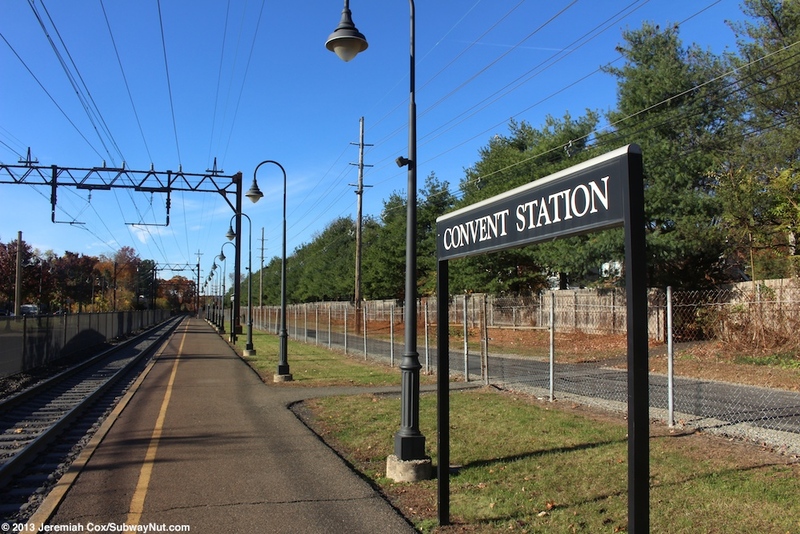 Convent Station (Home of the College of Saint Elizabeth, written on the main entrance signs) and is named for the actual convent. 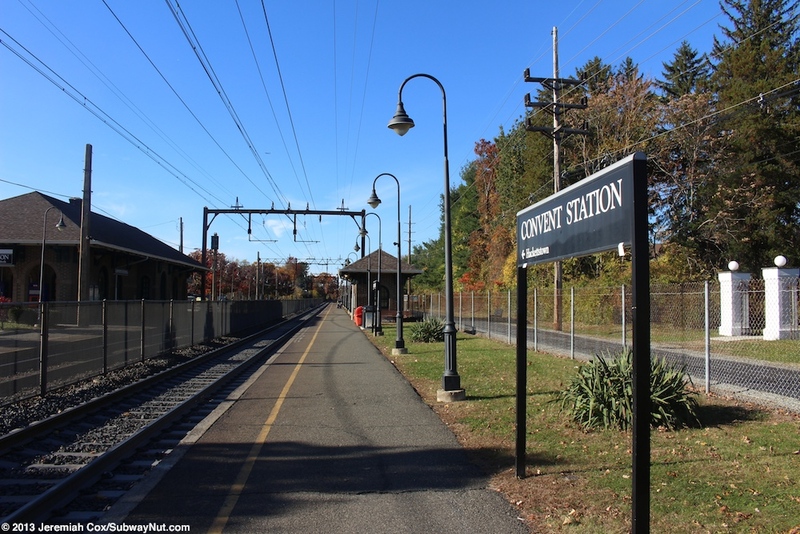 The station's full name (that is also the name of the surrounding community) is Convent Station not just Convent. 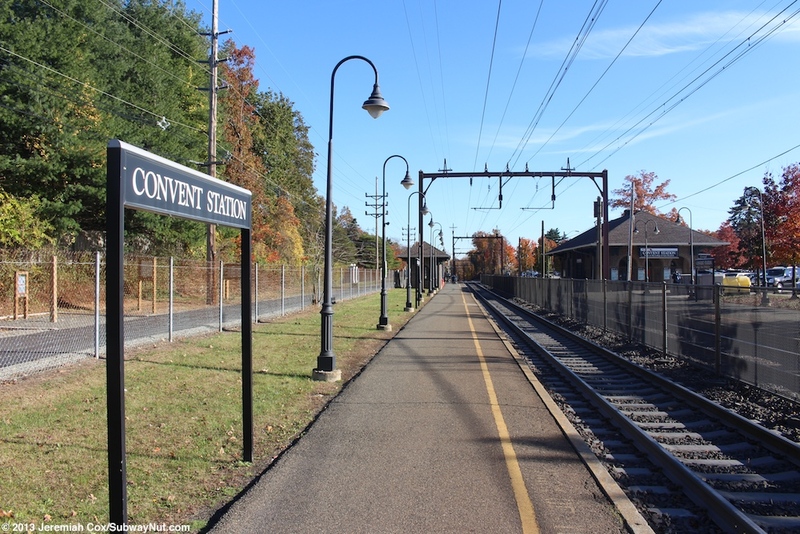 All station signs and all announcements for trains stopping here ("...Madison, Convent Station, Morristown..ect") include Station for the stop (just like Mountain Station). 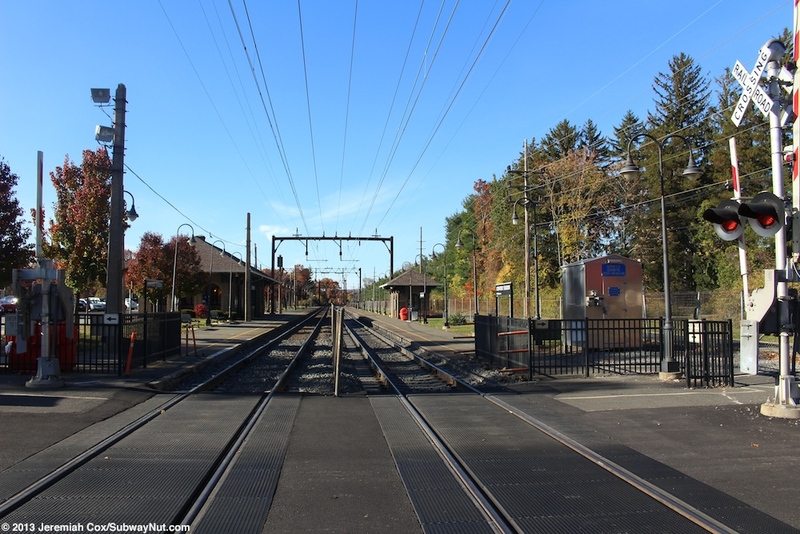 The station consists of two side platforms for the two track line located at street level. 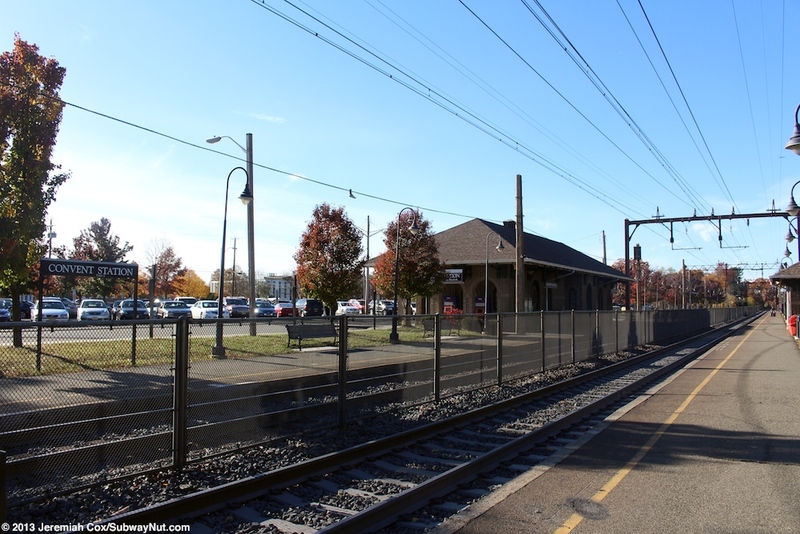 These low-level platforms accommodating 9 cars begin at the grade crossing (that is the only way to get between the two platforms) of Covent Road that runs into the main gate of the College of Saint Elizabeth directly across from the station. 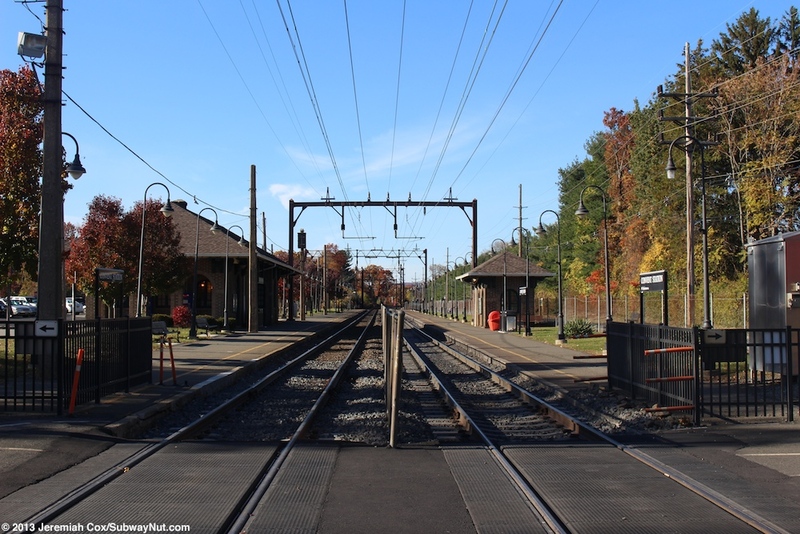 This grade crossing is the first/last one all Morristown Line trains cross coming to/from the New York or Hoboken Terminals. 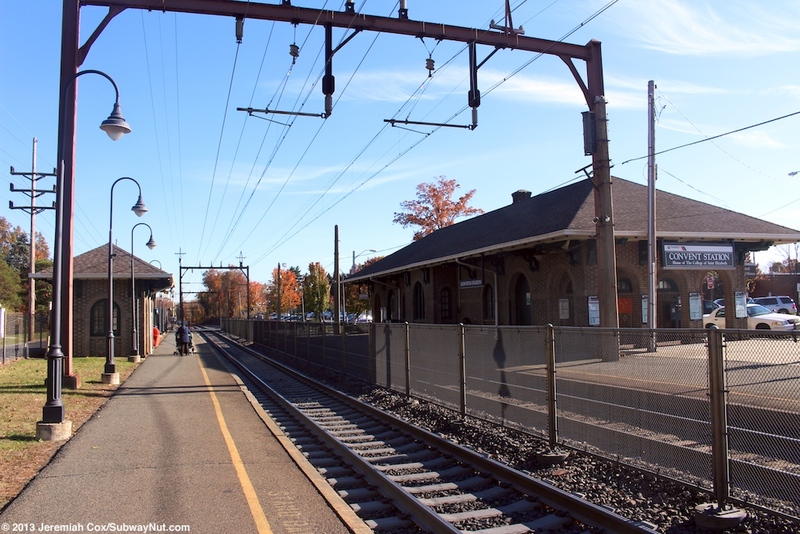 Along the middle of the Newark-bound platform is the station's historic 1912 station house. 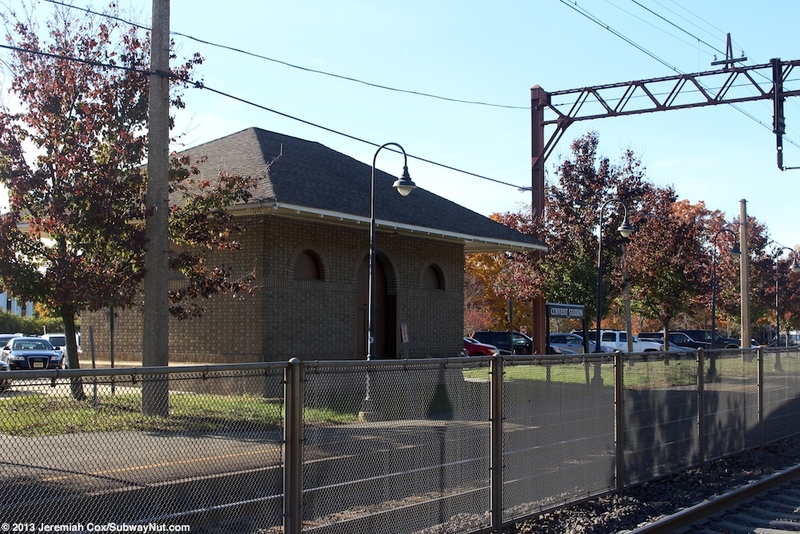 This building is a single story with has brick walls with a series of arches covering the arched windows and doors. The roof is shingled and slightly gabled with green trim. 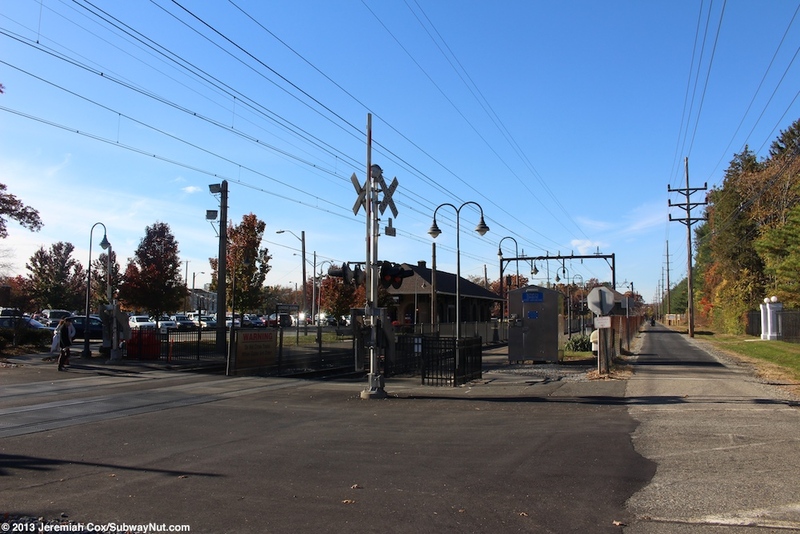 At each end of the depot are outdoor areas surrounded by the same arches as the rest of the station. 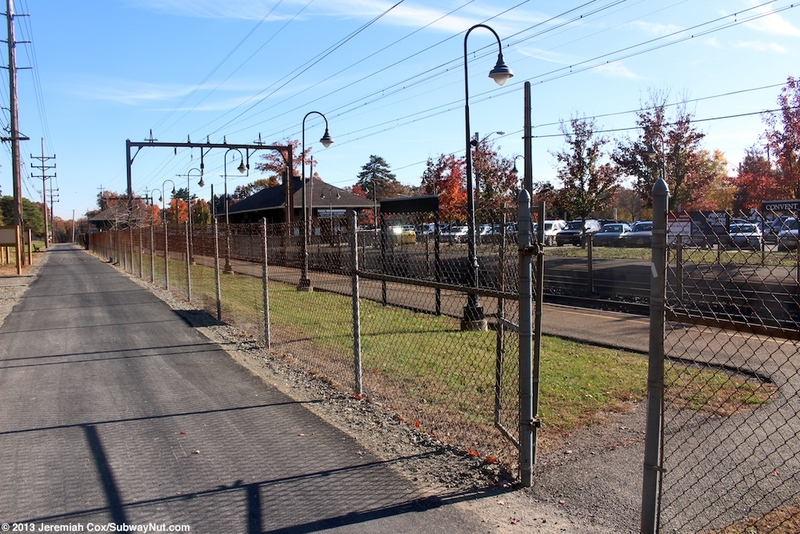 These cover the station's bike racks at the western end and the TVMs at the eastern end. 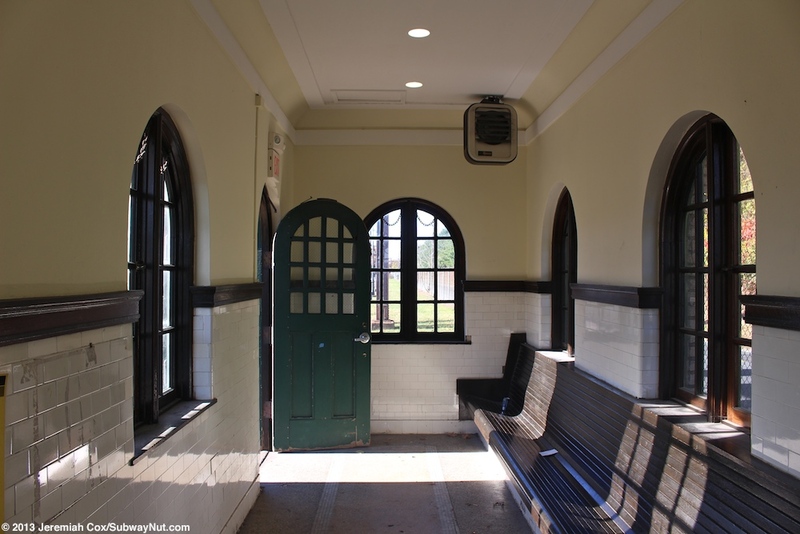 The station house itself is open weekdays from 4:30am to 8:00pm with a ticket office open 6:00am to 1:30pm. 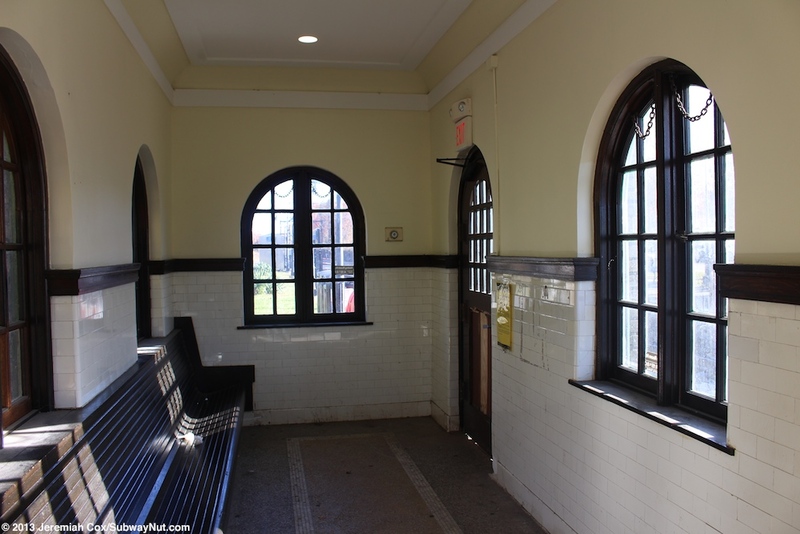 The ticket window has a nice wooden arch. Their walls are tiled half-way up with yellow walls above and wooden trim in the casement windows. Seating is provided with some built in historic wooden benches along the walls and a central modern folding table with 1980s chairs. 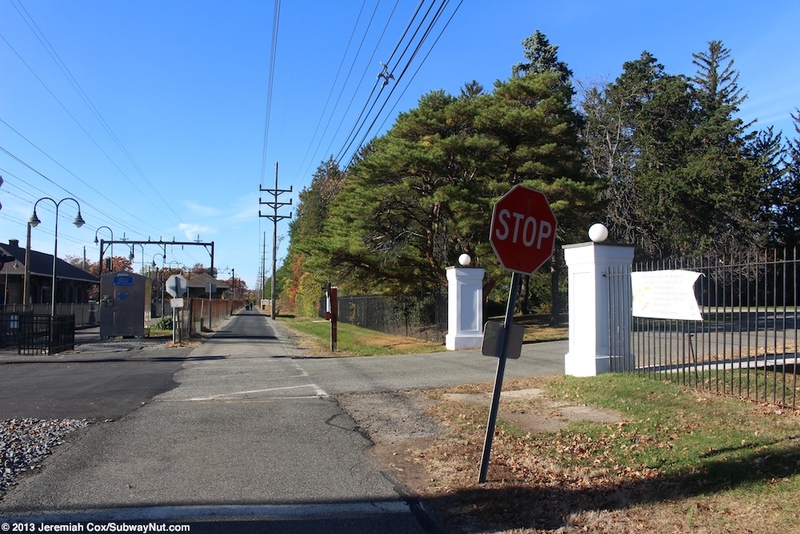 The station house is along the edge of the stations main 244 space parking lot (additional parking lot is around the station) between the tracks and Old Turnpike Road (bounded by Convent Road on the southern side). 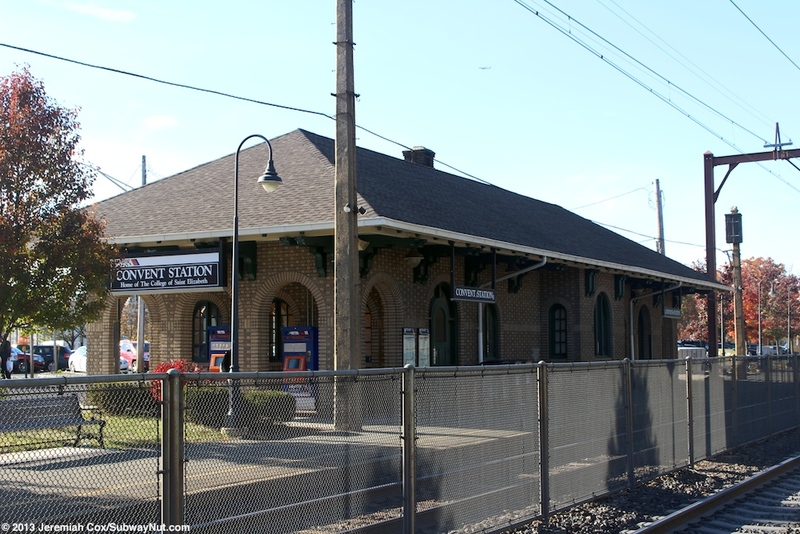 Towards the northern end of the platform is a small boarded up brick building in the same style as the historic station with only tiny arched windows and the remains of arched doors on each side that are step above the modern grass and sidewalk surrounding it. 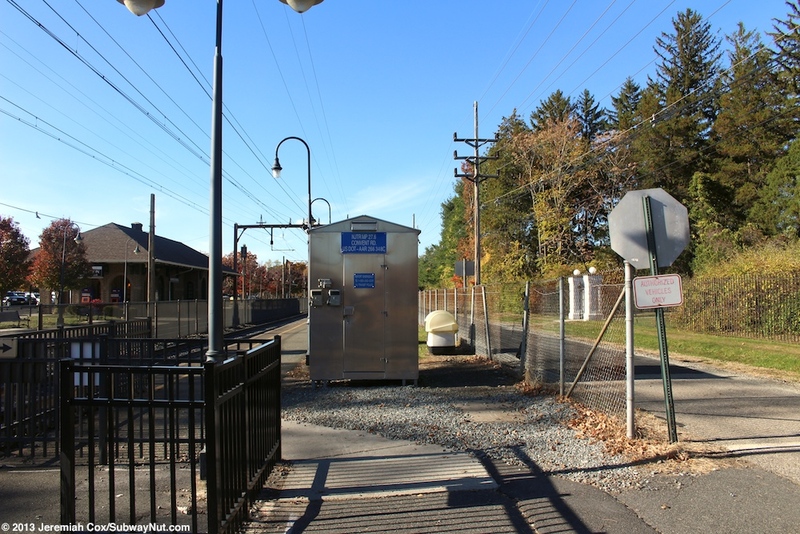 I assume this is some sort of former freight shed. 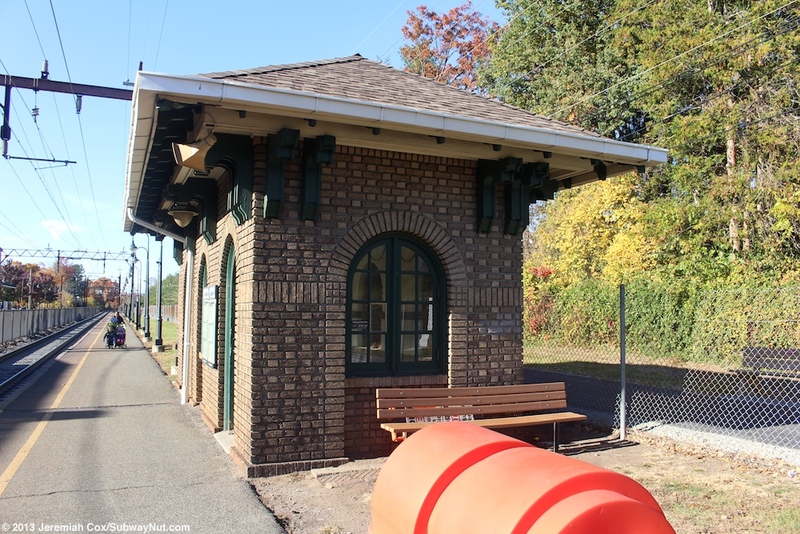 Across from the historic station house on the Hackettstown-bound platform is a historic brick shelter in the same style as the main station house with arched windows. 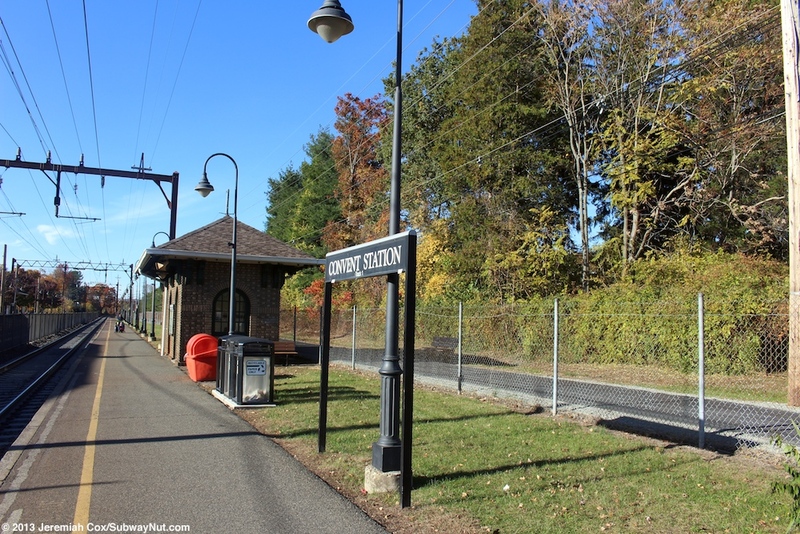 It is open the same hours as the main station and contains a small built in wooden bench and a couple heating elements. 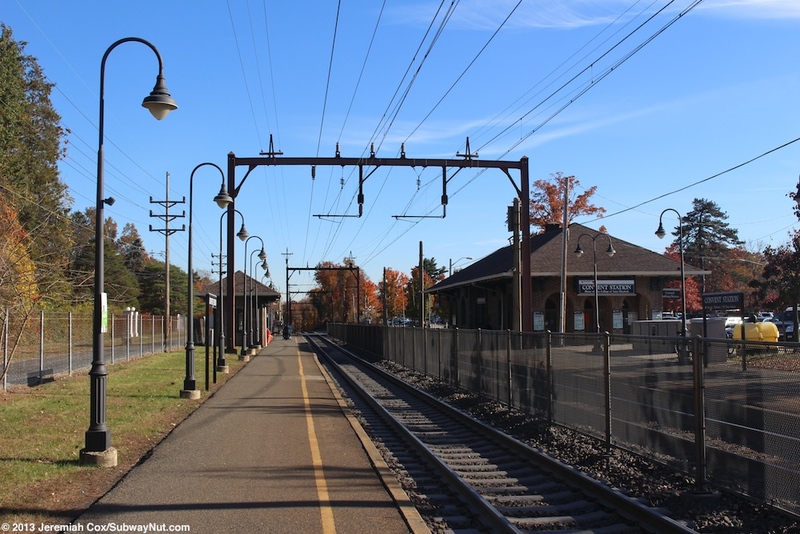 Just parallel to this platform is the Traction Line Recreation Trail that is built on the former ROW of the Morris County Traction Company. 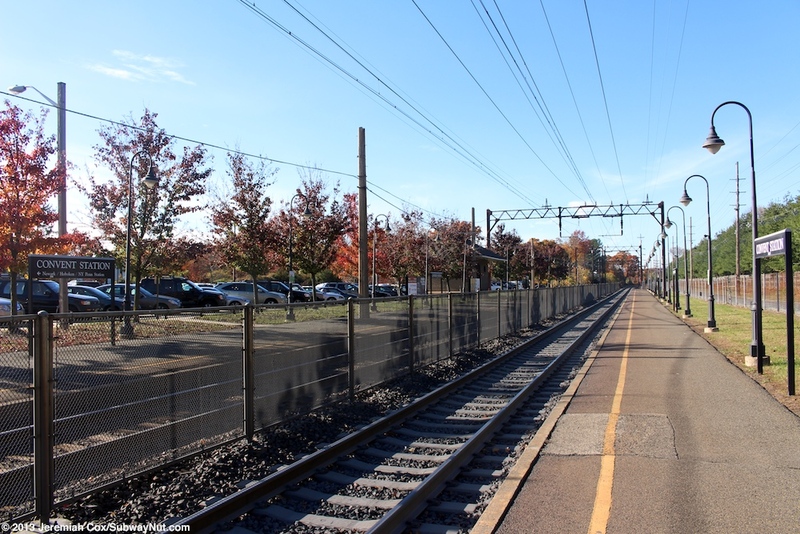 A chain-link fence separates it from this platform that has just the grade crossing and one small gate in the fence towards the northern end of the platform for access. 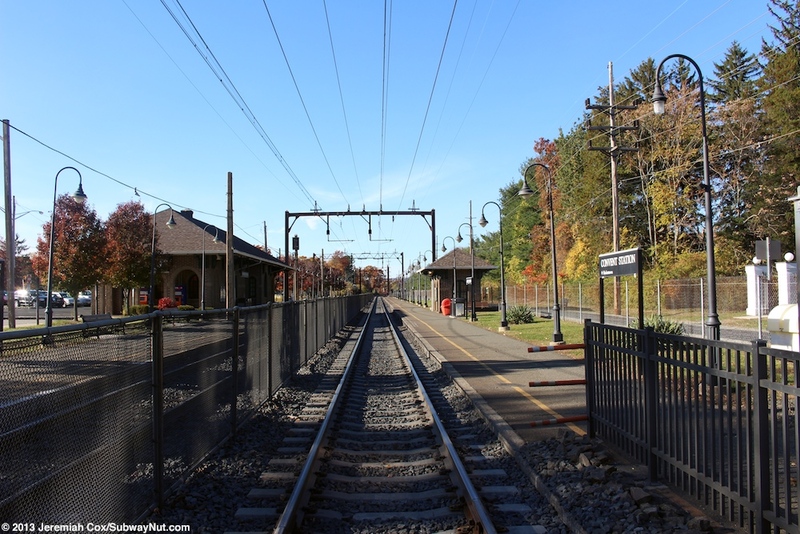 There are no modern shelters or canopies along either platform.